The Equinox is Chevrolet’s foray into the midsize and compact SUV segments, fitting between the subcompact Chevy Trax and the larger Chevy Traverse. It seats five and delivers ample power through either of its two engines: a powerful inline four or a strong V-6. The Equinox also stands out from among the other compact SUVs with its large and spacious passenger cabin, offering lots of head room, leg room and shoulder room. The Equinox first came out in 2005 and the second generation of the car was released in 2010. The 2017 model saw a mid-cycle refresh for the Equinox, with new and more modern styling added to the car’s exterior, better materials for the interior and improvements in both standard and optional equipment. The trim levels for the Equinox have been changed as part of the refresh, so it is now available in four models: the fleet-grade L, the standard LS, the customizable LT and the top-of-the-range Premier. 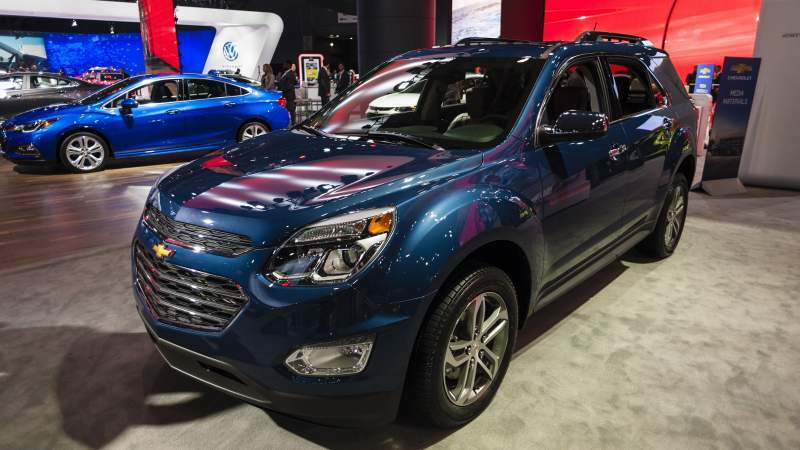 Within the trim levels, there are also different options and packages to choose from, making it easy to customize your own Equinox to tailor it to your needs. In this segment, you will get a description of the standard and optional equipment available in each trim level, the pros and cons of each one and the recommended target audience for each one. The Chevy Equinox L is the most basic model of the 2017 Equinox available, though you may have trouble finding one yourself, since dealers are getting limited quantities of the model. Though it is the least-equipped Equinox on the market, it still offers plenty of features for the budget-minded buyer. In addition to the basic features like air conditioning, power locks, windows and mirrors, the Equinox L also comes with a 7.0-inch liquid crystal color touch screen with a USB port, Bluetooth phone pairing and a 4G LTE data hotspot through General Motors’ OnStar subscription service. 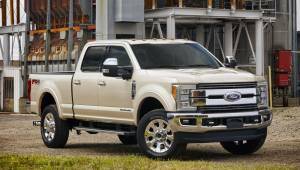 It comes standard with the base 2.4-liter four-cylinder engine that generates 182 horsepower and a six-speed automatic transmission, but it is not available with all-wheel drive. This combination gives a respectable mileage of 21 miles per gallon city, 31 mpg highway and 26 mpg combined according to the EPA, offering good performance for the class. The biggest pros of the L model are its pretty good standard feature set and its very low price point with a starting MSRP of $23,100 – it is the cheapest Chevy Equinox you can buy. However, the downsides of choosing this trim are fairly evident. There are no additional options packages and even all-wheel drive — one of the big reasons to choose a crossover SUV over a sedan — is not available. This makes the Equinox L the most beneficial choice if you are looking for a lot of passenger and cargo space on budget or if you need a work vehicle. Since the Equinox L is mainly aimed at fleet customers, if you are looking for a car under similar criteria this trim level will be the perfect option. If you are looking for more luxury features or all-wheel drive, you may be better served by one of the higher trim levels. The LS was the entry-level model of the previous iterations of the Chevy Equinox, but now serves the role of the ‘standard’ trim level, slotting in where 1LT used to sit. It is not significantly different from the L model and is not significantly pricier, but it has a far greater availability since it was considered by GM to be the mass market model of the Equinox. The standard feature set of the LS is almost exactly identical to the L, with the exception of the satellite radio receiver, which the LS comes with as standard equipment along with a free trial satellite radio subscription. However, where the LS stands out from the L is the optional equipment that is available. The biggest available option is the all-wheel drive system. The LS is the least expensive Chevy Equinox in 2017 that can be purchased with all-wheel drive, instantly making it a much more attractive option for buyers living in rural areas or places that get a lot of snow or ice in the winter. Other optional equipment includes splash guards, a tow hitch package, remote start and heated seats – all great convenience options not found on the L. The engine and transmission are the same on the LS as the L, though the all-wheel drive models get slightly lower gas mileage: 20 mpg city, 28 mpg highway and 23 mpg combined. The big pros of the LS model are the available optional features, including all-wheel drive and its much greater availability at dealerships compared to the L, which is only seeing a limited release. The downsides of the LS are the relatively limited range of options available which, though better than the L which is practically sold as-is, is still far short of that of the LT and the LTZ. And while you can get the all-wheel drivetrain on the LS, the more powerful V-6 engine remains out of reach on this model. The LS is the perfect model if you are looking for an all-wheel drive SUV with a few comfort options, but are not looking for extra bells and whistles. It is also a good choice if you do a lot of off-road driving, for the towing and the splash guards, or an area with cold winters, for the remote starter and the heated seats. The LT trim level, previously split into the confusing 1LT and 2LT models, has been consolidated into one big option-rich model. Here, you can find almost any option that you can expect to find on a modern SUV, though few of them come as standard equipment. This allows you to truly customize and personalize your Equinox LT to your heart’s content. The Equinox LT incorporates Chevrolet MyLink as standard equipment, allowing you to use your smartphone apps on the car’s touchscreen and stream music, as well as use internet radio apps like Pandora. Push-button start, leather-trimmed steering wheel and heated mirrors round out the standard equipment, but it is really the options where you will find the good stuff. Found among them are a Convenience package with climate control, heated seats and 8-way seat adjustment, a Technology package with navigation and Pioneer audio and a Driver Confidence Package with blind spot monitoring, rear cross traffic alerts and parking assist. Even more options are available a la carte, including the more powerful 3.6-liter V-6 that generates 301 horsepower. That engine gets a gas mileage of 16 mpg city, 23 mpg highway and 18 mpg combined and is only available together with all-wheel drive. With the four-cylinder, it earns the same mileage as the L and the LS. The biggest point in favor of the LT is the long list of available options, including the V-6 engine. However, while the base price of the Equinox LT is not that much higher than that of the LS, it can definitely add up once you start adding options. And, thanks to so many different possible configurations, it could take some looking to find the one that has everything you want and nothing you don’t need. The Equinox LT is perfect for you if you want to customize your feature list exactly to your liking. It lets you pick the features you want and avoid those that you don’t care about, essentially creating the perfect Equinox for you personally. The Premier is the pinnacle of the Equinox line up – the one with everything. As standard equipment, it is equipped with halogen headlights, an improved exterior appearance package and perforated leather upholstery, as well as incorporating many of the features of the LT convenience package such as heated seats and climate control. Other than that, many of the same options and packages are available on the Premier as on the LT. A notable addition is the Driver Confidence Package II, which also includes a forward collision alert and a lane departure warning. The engine and the drivetrain options for the Premier are exactly the same as those on the LT, so it gets the same gas mileage in comparable configurations. 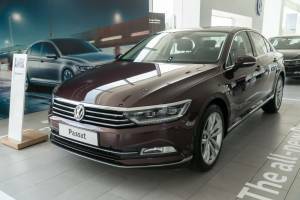 The biggest draw for the Premier model are the extra standard features compared to the LT, the high-quality leather interior and the unique Premier exterior styling. It is also the only model that allows you to get all of the active safety features. However, if you are content with the premium cloth seats and the blind spot monitors, you get everything you could want in the LT model for far less. This is the perfect trim level for those who enjoy comfort and the latest technology, since it is the only trim level with all of the features from those categories. This is also the trim to choose if you are very safety-conscious, as the forward collision warning can often detect obstacles before you have time to react and the halogen headlights significantly improve nighttime visibility. In short, if you want the full feature set, the Premier is the trim to choose.